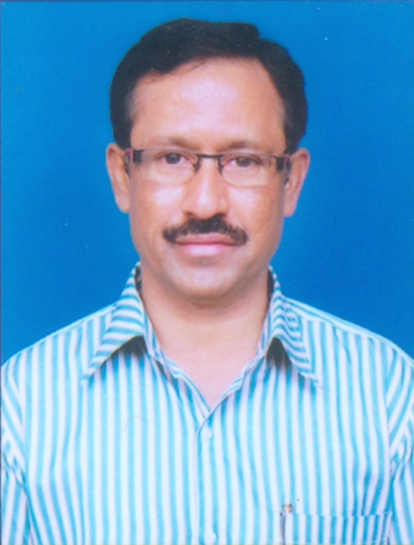 M.C.J., LL.B., M.Com., M.A (English)., M.Phil., Ph.D.
Dr. Mekam Maheshwar possesses 30 years of experience in mass media, journalism, public relations, nutrition communication & research. He is involved in translation of nutrition knowledge into public health domain by dissemination of information. He explores optimum possibilities for propagating nutrition knowledge and raise awareness levels of the people through mass media. He obtained Doctor of Philosophy (PhD) on the topic “Influence of mass media on teenagers’ diet and health-related behavior”. In addition, he possesses post-graduate degrees in (i) Communication & Journalism (ii) Law (iii) English literature and (iv) Commerce. He published 9 research papers in different international peer reviewed journals. He authored book titled “Mass Media and Health Communication in India” published by German-based LAMBERT academic publishers. In addition, his articles on current trends in nutrition appeared in national and international daily newspapers and YOJANA magazine. To propagate nutrition knowledge, he produced several short films and was telecast in television channels. He began his career as Journalist and worked as Senior Reporter/ Senior Sub-Editor in EENADU ETV group for 13 years, followed by 5 years tenure in Indian Railways as Public Relations Officer. Maheshwar M, Rao RD. A comparative analysis of nutrition science coverage by popular Indian daily newspapers. Journal of Media and Communication Studies. 2011 Apr 30; 3(4):131-43. Maheshwar M, Rao DR. A matter of looks: The framing of obesity in popular Indian daily newspapers. J-UCMS. 2011 Jan 30; 8(1):30-4. Maheshwar M, Rao DR. Quantitative analysis of nutrition and health messages in Indian print media. Public Health Research. 2012; 2(2): 28-31. Maheshwar M, Gavaravarapu SM, Venkaiah M, Rao R. The quality of nutrition research reporting by leading daily newspapers in India. Journal of Media and Communication Studies. 2014 Jun 30; 6(6):92-8. Maheshwar M, Vijayapushpam T, Rao SF. A Current Appraisal of Health and Nutrition Related Claims in Indian Children’Television Food Advertisements. Journal of Social Science Studies. 2014 Feb 27; 1(2):125. Vijayapushpam T, Maheshwar M, Rao DR. A comparative analysis of television food advertisements aimed at adults and children in India. Int J Innovat Res Sci Engin. 2014; 2(6):476-83. Maheshwar M, Rao DR. Deforestation-A potential threat to nutrition. Int J Tech Res Appl. 2015; 3:226-32. Maheshwar M, Narender K, Balakrishna N, Rao DR. Media Viewing Habits of Teenagers. Intl J Res Mgmt Eco & Commerce. 2017; 7(2): 1-9. Mass Media and Health Communication in India.